Sutherland Shire Libraries have recently acquired two new resources which will be of great use for anyone interested in history. 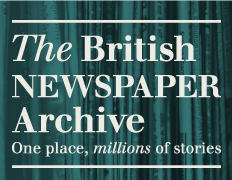 Biographical Database of Australia and British Newspapers Online, have such a wide interest spread that they will benefit the family historian, just as much as the social historian. One search in the BDA could save precious research time! 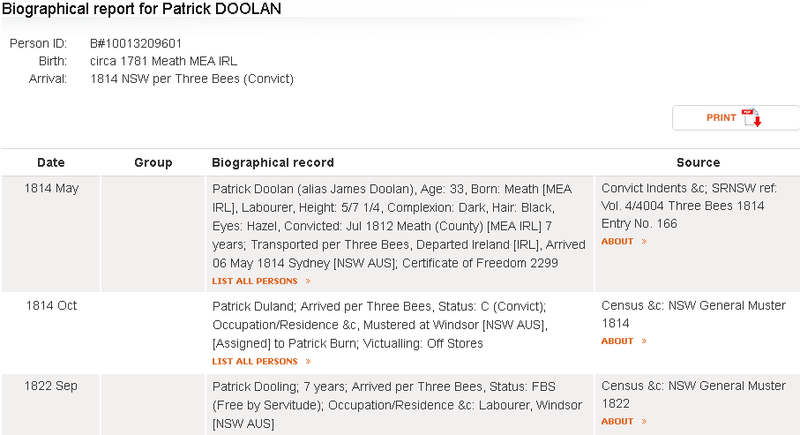 BDA transcribes and indexes biographical data from original records, of individuals who arrived from overseas or were born in Australia, including Aboriginal people, convicts and immigrants of all nations. The data sets currently included fall into these categories; Biographies : Published, Cemeteries, Church Registers, Colonial Secretary NSW, Convict Indents, Convict Records, Court Records, First Fleet, Indexes and Lists, Military, Musters & Census, Passengers, Tickets of Leave Index, Victualling Lists. All sources have description list detailing where the information was obtained, who indexed it and any limitations of the data. Future inclusions are scheduled and will cover Birth-Death-Marriages (non Church Registers), Editor Submissions, Norfolk Island, and Subscriber Submissions. Click on LIST ALL PERSONS and see those who appear in the same sources as the person of interest. This is a great way to see the connections between people and follow associations, perhaps enabling a clearer picture of the life and times of the person of interest.